Suppose an Arizona worker experiences discriminatory harassment, sexual assault or another form of negative, unlawful treatment that makes work conditions exceptionally difficult. Naturally, such an employee would be left feeling unwelcome in such an unpleasant, unlawful work environment.To protect employees from the difficulties of working under such conditions, the Arizona legislature created a statute that recognizes these types of employees effectively had no choice but to resign their job. This legal doctrine is known as constructive discharge. The employee has evidence demonstrating that the conditions at work were "objectively difficult or unpleasant", thereby compelling a reasonable employee to resign their position. Evidence shows an employee was subjected to "outrageous" conduct (the statute lists sexual assault, threats of violence, and continuous patterns of discriminatory harassment) by either the employer or an employer's managing agent, which compels the employee to resign. What Can Employees Do If They Possess Evidence of Constructive Discharge? There is a key procedural difference between the two aforementioned types of constructive discharge. First, for employees with evidence of "objectively difficult or unpleasant" working conditions should provide an employer with at least fifteen days of notice stating the employee's intention to resign their position in writing. The employee must also state the objectively difficult or unpleasant conditions that led to the effectively forced resignation. 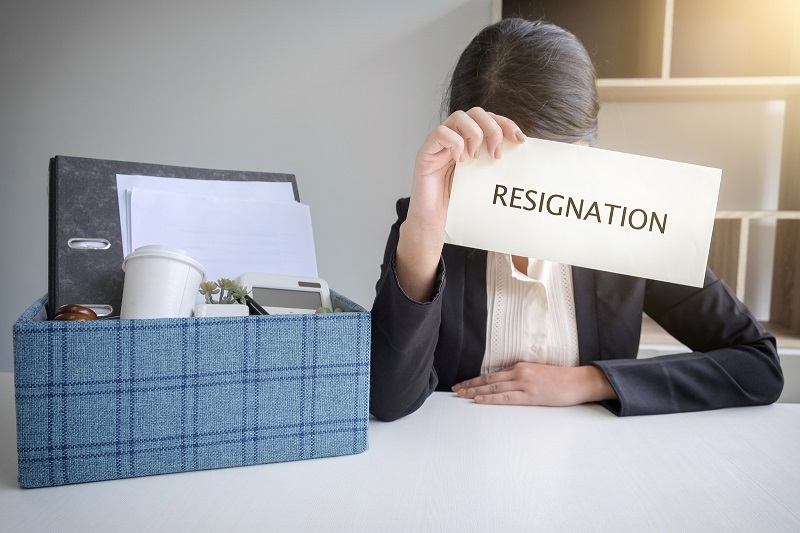 This gives the employer an opportunity to effectively address those concerns, but if the concerns are not responded to appropriately, then the employee may continue to take actions toward resigning. The employee must also read and consider the employer's written response, if one was made. It is essential to note, therefore, that employers who engage in "outrageous" conduct, then the employee is not required by Arizona law to provide written notice that gives an employer the opportunity to address and ameliorate the employee's work conditions. Instead, an employee may simply resign their job, all while still retaining the right to file a constructive discharge claim. What Happens If the Employer Ignores an Employee's Written Notice? When an employee adheres to the legal requirements of ARS Section 23-1502 by providing notice of objectively difficult or unpleasant work conditions, an employer may choose to ignore the correspondence. If the employer chooses to do so or otherwise fails to respond within fifteen calendar days in writing, then the employee retains the right to resign and begin the process of pursuing a constructive discharge claim with the help of an Arizona employment lawyer. Additionally, employers can also waive their right to even receive notice regarding objectively difficult or unpleasant work conditions. Employers can waive their right to notice in such cases if employees were not made aware of ARS Section 23-1502 and Arizona's constructive discharge law by their employer. As such, wise employers provide this notice to avoid wrongful termination lawsuits over workplace conditions that could have otherwise been corrected without further legal action to protect the employee's rights. For more information about filing a constructive discharge claim in Arizona, contact us online for a legal consultation with an Arizona employment attorney today.